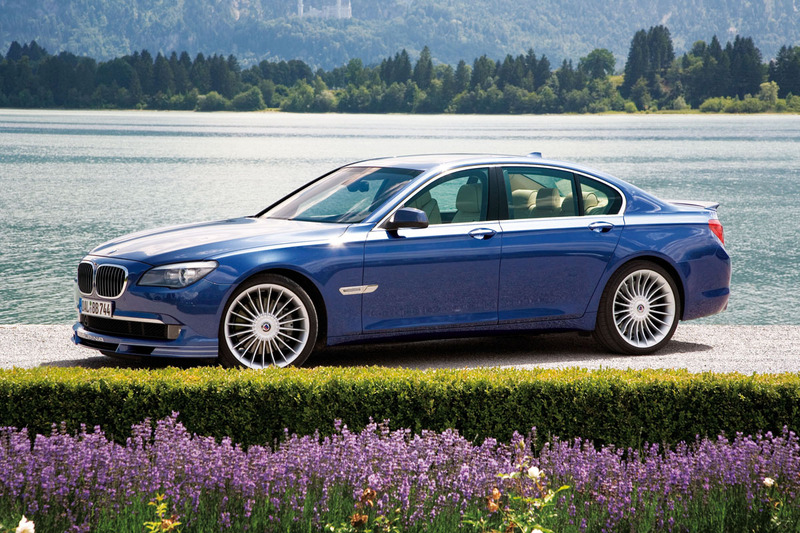 Alpina makes a return to the North American market with the second generation Alpina B7. 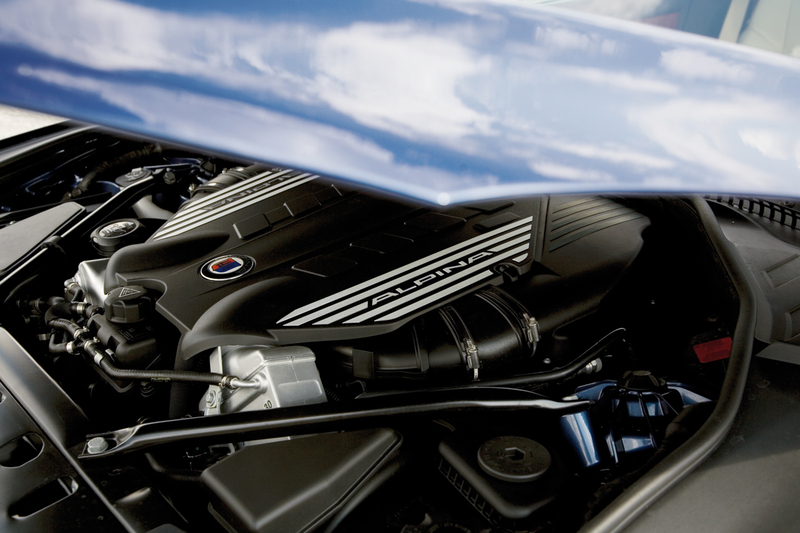 Alpina has shared a long history with BMW, beginning in 1961 when the son of the founder of Alpina Business Machines, Burkard Bovensiepen, developed a dual-carberateur setup for the BMW 1500 sedan. 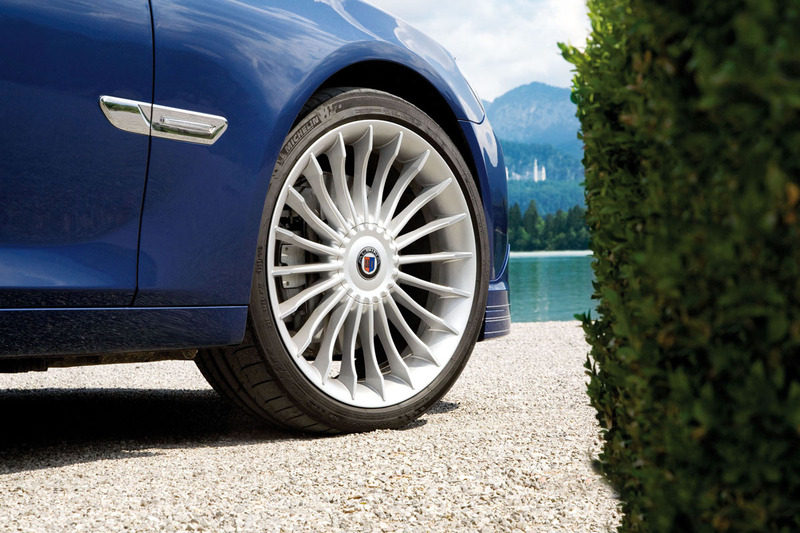 Alpina has since worked with BMW to create special versions known for their unmatched performance, luxury, and quality. 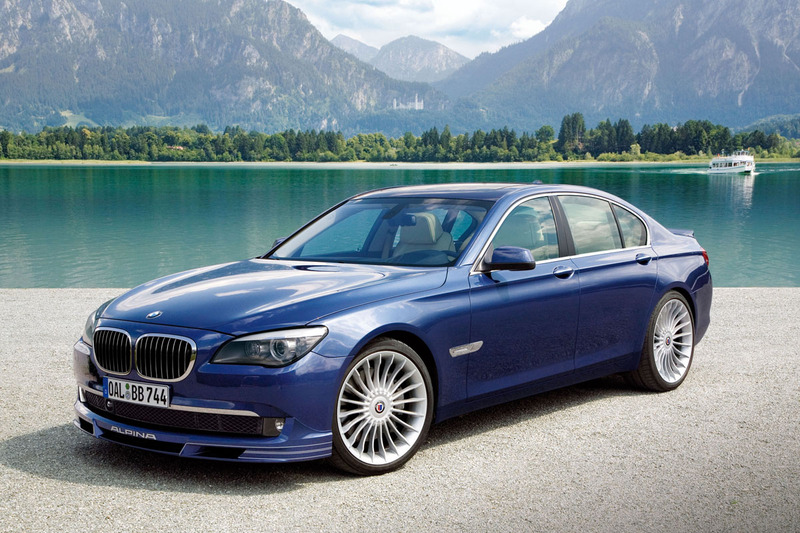 So when BMW decided to develop the ultimate 7 Series, they turned to Alpina. 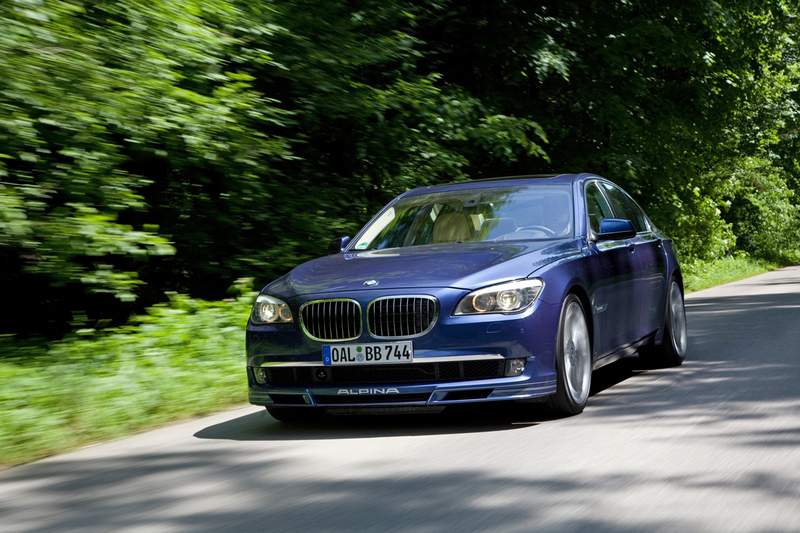 Renown for their performance tuning, Alpina BMW has once again achieved impressive figures with the B7. 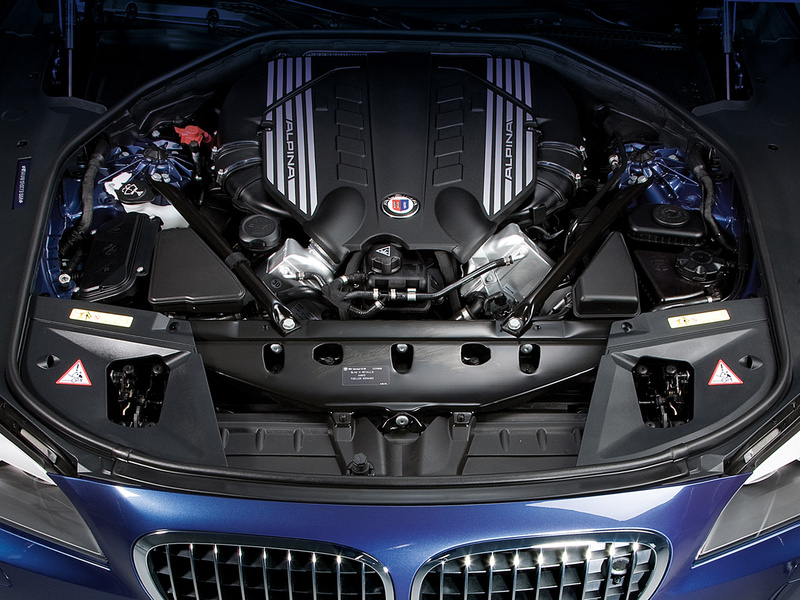 Using BMW’s twin turbocharged, 4.4-liter, aluminum V-8, Alpina was able to achieve an output of 500 horsepower and 516 lb-ft. of torque using high performance pistons, optimizing intercooler efficiency, enlarging two intercoolers by 35%, and installing an Alpina exhaust system. With a maximum boost pressure of 1.0 BAR and peak torque available from 3,000 to 4,750 RPM, the rear-wheel-drive sedan rockets to 60 mph in just 4.5 seconds. 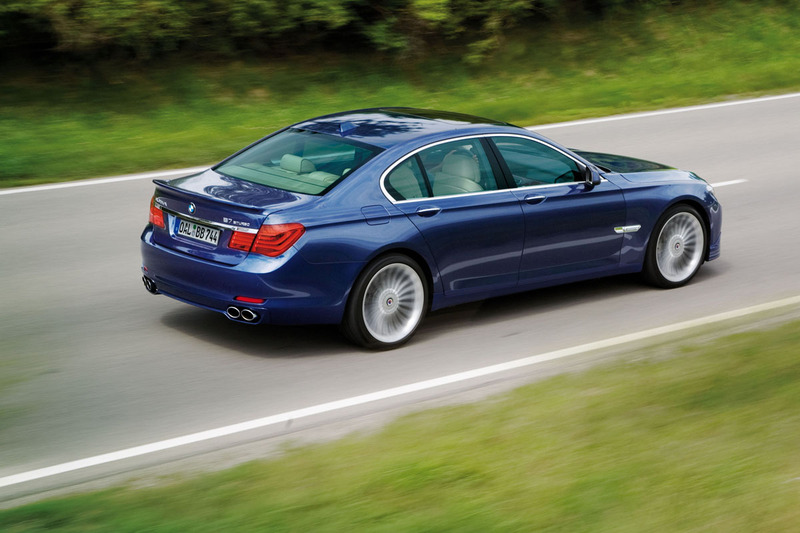 A six-speed sport transmission with Alpina Swtich-Tronic control changes gears in just a few hundred milliseconds, and features two modes: Sport and Manual. Gear changes can be manually operated by two buttons behind the Alpina steering wheel, allowing for complete driver control. 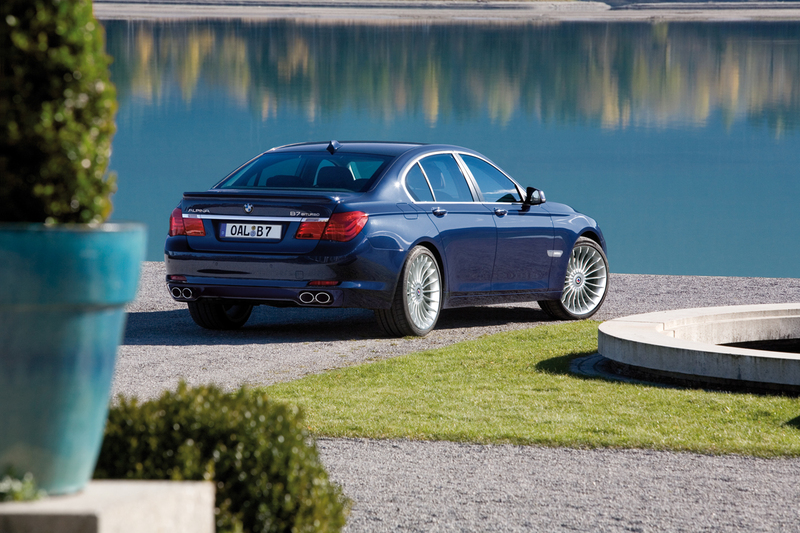 Based on the advanced suspension of the BMW 7 Series, the Alpina B7 utilizes calibrated springs to lower the car by 15m at the front and 10mm at the rear. Retuned Dynamic Damping Control and Active Roll Stabilization systems work to make the B7 a neutral-handling automobile. Three suspension set-ups are available: Comfort, Normal, and Sport to provide an optimum ride. 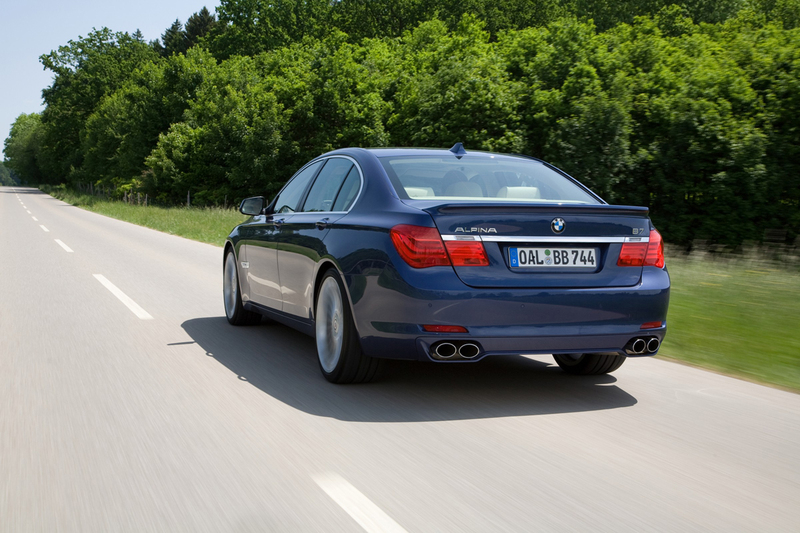 The design of the Alpina B7 closely follows the principal “form follows function.” Alpina has designed front and rear spoilers to increase stability at high speeds, reducing lift by 30% at the front and 15% at the rear, while still retaining a muscular appearance. The front fascia also optimizes airflow to the engine and transmission oil coolers. 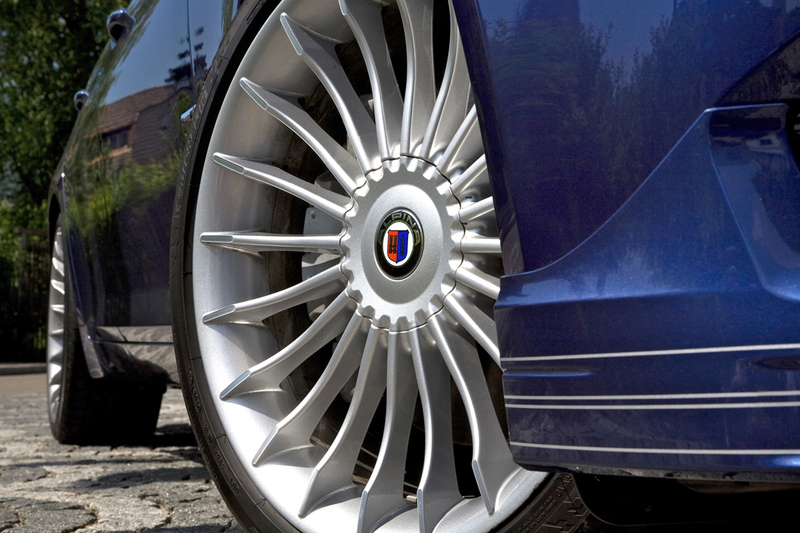 The B7 receives the traditional 20-spoke Alpina Classic 21-inch wheels which measure 8.5 x 21 inches at the front and 10 x 21 inches at the rear, and feature Alpina centercaps. The classic wheels wear specially-selected staggered 245/35 R21 front and 285/30 R21 rear Michelin PS2 tires. 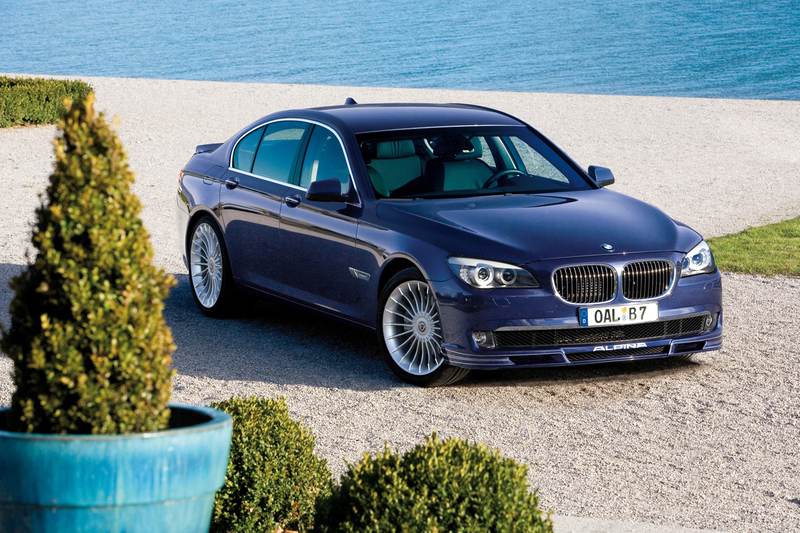 The signature Alpina Blue metallic paint will be available to create a truly unique 7 Series, while factory colors will also be available. 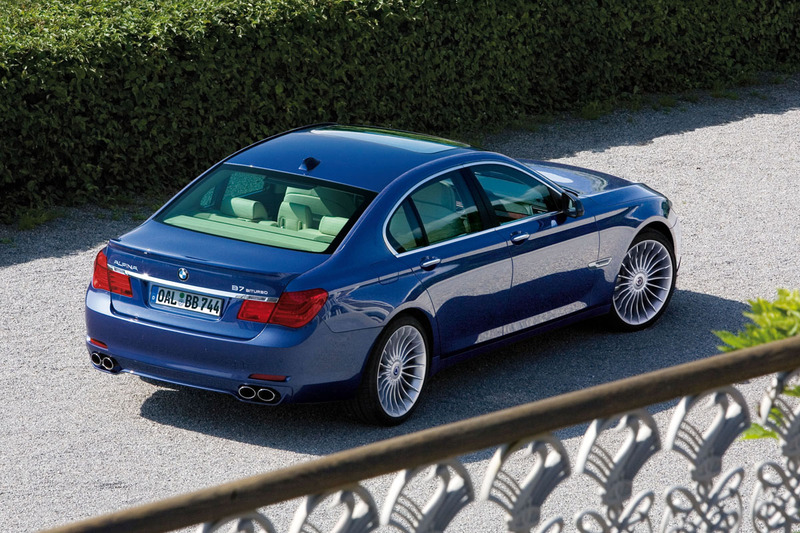 A rich and luxurious cabin transforms the Alpina B7 into the ultimate 7 Series. Hand stitched in Lavalina leather, the Switch-Tronic steering wheel emphasizes the synthesis of performance and luxury. 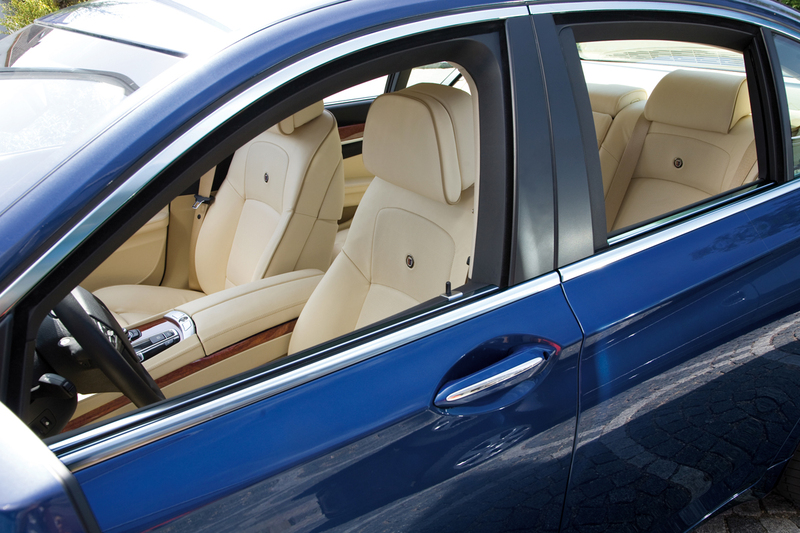 The black-panel LCD instrument cluster, steering wheel, and seatbacks of the Comfort leather seats are branded with the Alpina logo, while illuminated door sill trims glow with the legendary Alpina name. 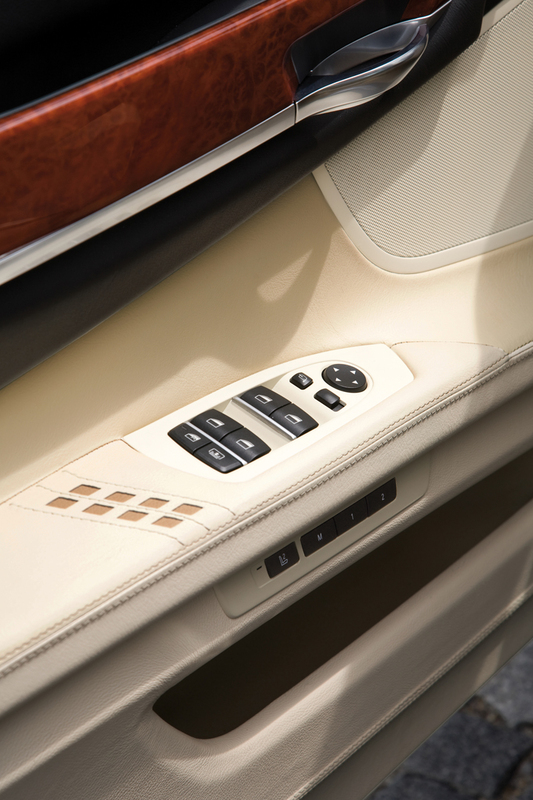 A precious wood trim made of Myrtle Burl, found only in the Pacific Coast of the United States dresses the cabin, while an optional Alpina Piano Lacquer trim featuring silver diagonal rhombs is also available. 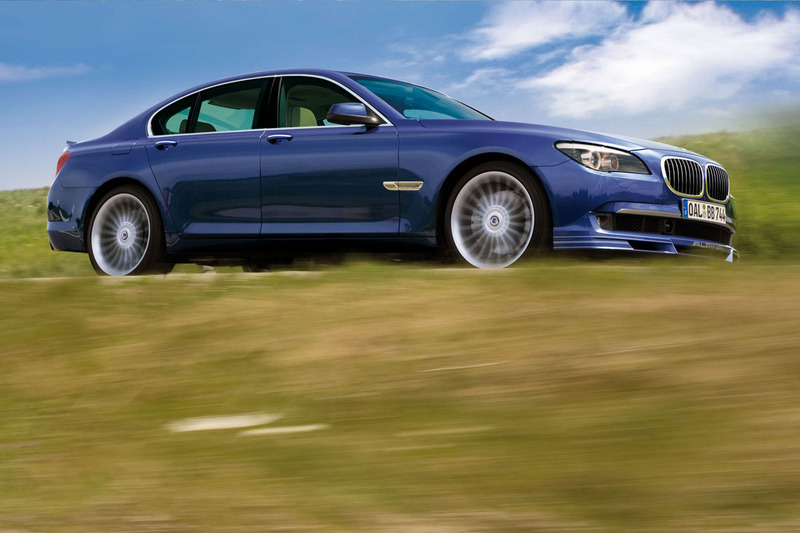 The BMW Alpina B7 will go on sale in the North American market in the spring of 2010 at authorized BMW dealerships. 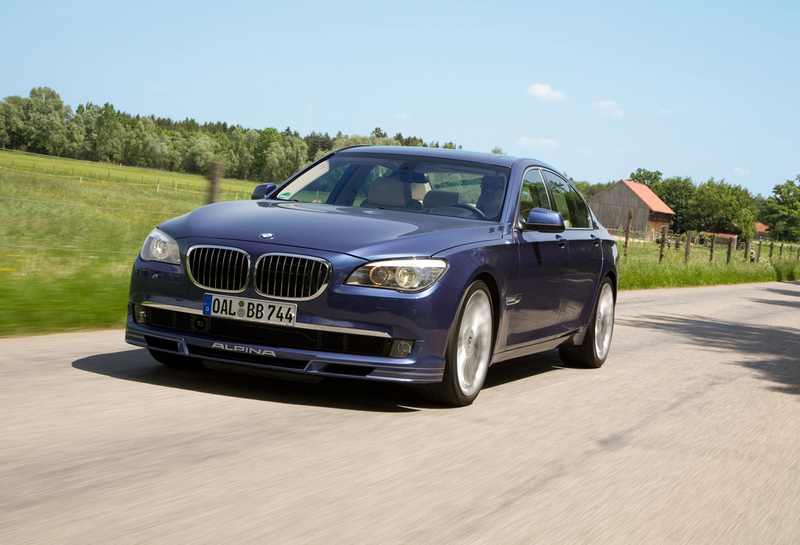 Both long and short wheelbase versions will be available with pricing set to be announced closer to the on-sale-date.